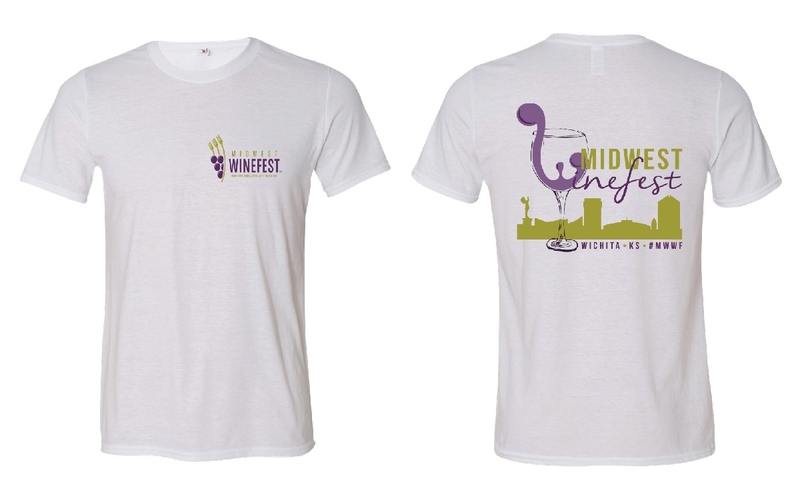 This year, Midwest Winefest will be selling a newly designed t-shirt, and limited edition bourbon and vodka, to benefit the Guadalupe Health Foundation and commemorate the 2018 event! Order your shirt online, or visit the Guadalupe Health Foundation booth at the Old Town Walkabout on Thursday, April 26th or at the Grand Tasting on Saturday, April 28th. Each beautiful shirt is a high quality, tri-blend Anvil tee, which means they won't shrink or stretch with wear and wash! The material is soft and bright, offering each Winefest attendee a collectible souvenir to remember the 2018 event.